If you are anything like me (gosh, I hope not…well, not too much), you’ll love the Dummies series. Did you know they can learn you just about anything from these – from Taxidermy to Blogging? OK – the “taxidermy-thingy” was just mean, sorry! They just do not stock this title! Now, this struck me as a little strange. Remember, I told you that I got to my 100th posting earlier this week? While I may have given up counting how many words I have used across all those postings – I did not give up on the most popular “internet search items” that brought people to allthingslearning. SERIOUSLY! These 12 items alone account for 35% of the traffic to this blog – again, these “Happiness Engineers” at WordPress give me such useful data! I clearly write far too much about Star Wars on my blog! Lots of educators are just as interested in “Evil Sith Yoda” – as I am! Teachers and educators just surf the net for cartoons! The one thing it did highlight for me was the interest in classroom management. 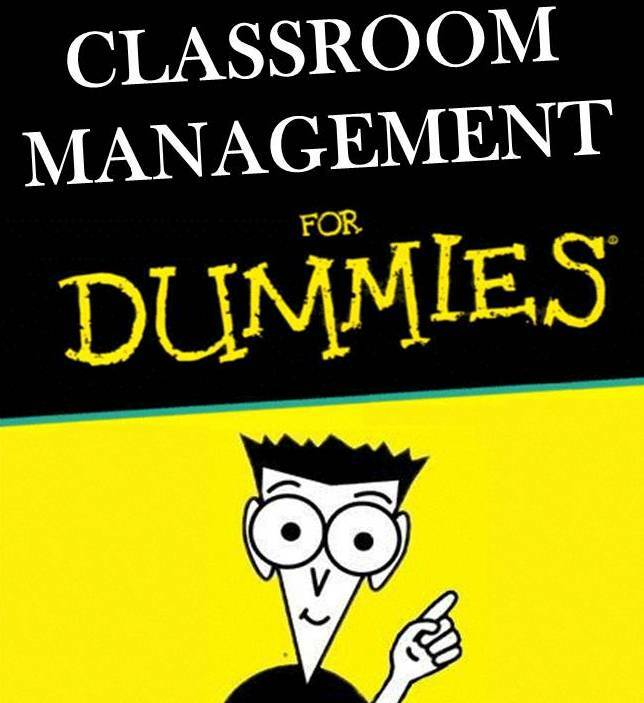 Now, apart from re-blogging these – I wondered what else I could do (until “Classroom Management for Dummies” is published) to help all those teachers that are getting ready to “go back to school” this week…in this part of the world! I have also complied a list of my favourite Classroom Management resources in a “new” library (hot off the press – see below). It contains a number of the books I talk about in the two posts above! I really wish I could remember where I found this one. I came across it many, many years ago – and it was just sitting in a folder…till allthingslearning. Seriously, if you know where it comes from, let me know! I concur about it being Matt Groening’s work.